The holiday season is in full swing, and it's nearly time for 2010 to give way to 2011! But there's still plenty of time to try out my top gear picks of the year. 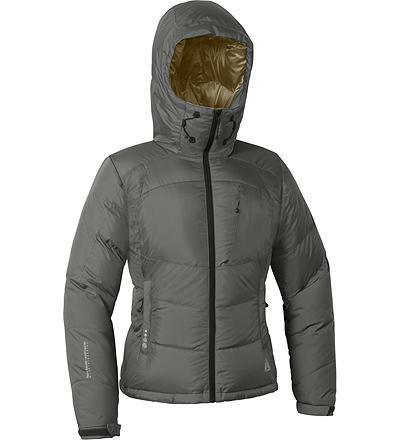 This beauty, which I received compliments of First Ascent, is a must-have for staying warm in the coldest of conditions. The 850 fill down is protected by a cocoon of waterproof ripstop fabric, a great feature for those of us who understand the pain of having accidentally stabbing holes in down coats. The hood fits comfortably over a helmet and stayed put even in strong winds on Mount Rainier. Adjusting the hood and sleeves with gloves on was a piece of cake. It packs well into a small compression sack, though still takes up quite a bit of space. But it's a small price to pay for such a warm parka! And as far as big puffy coats goes, the slim fit makes it relatively flattering. In my humble opinion, Petzl makes the best headlamps out there. I've owned three of them so far, and haven't been disappointed. They're durable, designed well, and they do their job. 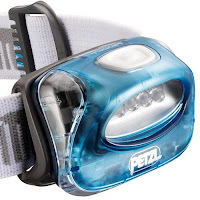 I bought the Tikka2 Headlamp after testing out a friend's during a climbing trip. It was noticeable brighter than my old Princeton Tec and the button was easier to press. I learned the value of having a good vacuum bottle last winter during a mountaineering course in the Adirondacks. There's nothing better than freezing your a** off climbing one of the High Peaks in January than a hot chocolate break (or two) en route. Finding a vessel that didn't leak, however, provided more of a challenge than Algonquin Peak did. The key, I found, was to use a vacuum bottle with a screw top rather than a push botton top. The seals on all three push button top bottles I tried, particularly this one, ended up detaching or leaking. (Thankfully, friend Aleya didn't have the same problem!) The lid on the REI Bullet Vacuum Bottle twists on and off, and allows you to pour liquid out without removing it entirely. I'll never go on another winter trip without it! I hate doing dishes on backpacking trips. Hate. This hatred is amplified when I discover I've burned half my meal to the bottom of the pot and have to scrub rock hard pieces of rice, pasta, etc off of it. One of my biggest complaints about most backpacking stoves, including the MSR Whisperlite, is the fact that the stove is either on full blast, or off. There's no in-between. If all I'm eating on a backpacking trip is food that requires the addition of boiling water, that's fine. But for anything else, the DragonFly is definitely my preference. It's easy to store, easy to use, and the dual valve design allows you to simmer. The DragonFly also boils water faster than you can say, "Simmering is awesome!" 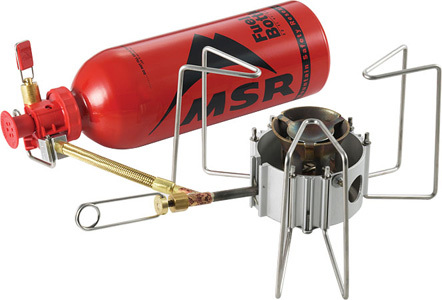 The best part about MSR stoves is their "ShakerJet" technology; to clean the fuel line, you shake the stove. That's it. The DragonFly is a little pricey, but it's worth it. 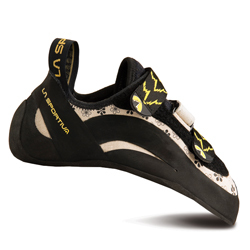 Recommending climbing shoes is...difficult. Everyone has different feet. But these shoes are just phenomenal. Though it took me almost two months to break them in, (or rather, break my feet in), I'm not sure I'll buy another pair of shoes for bouldering after wearing the Miura VS shoes. They're still not comfortable and they probably never will be, but good, aggressive shoes are bound to be a little painful. They don't fit the same way the Miura lace-ups fit, which was a good thing for me. They're a more aggressive shoe than I've ever owned, but I've also found their performance superior to anything I've ever owned. Precise footwork and edging is easier than ever. The size 40 fits my women's size 10 feet perfectly, and I haven't noticed much stretch during the break-in period. And I don't care what anyone says; I like the flowers. Disclaimer: The Petzl Elia Women's Climbing Helmet I received from PembaServes to test definitely would've made this list, but I dedicated an entire post to it already this year! 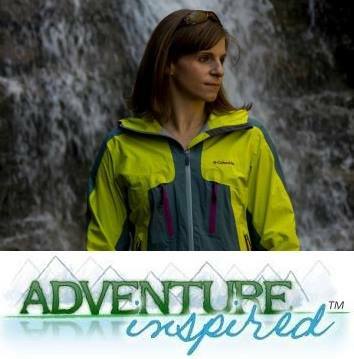 Aside from the First Ascent down jacket, which I received from First Ascent after winning a contest, I purchased all of these items with my hard-earned cash, and as always, the opinions expressed here are my own.